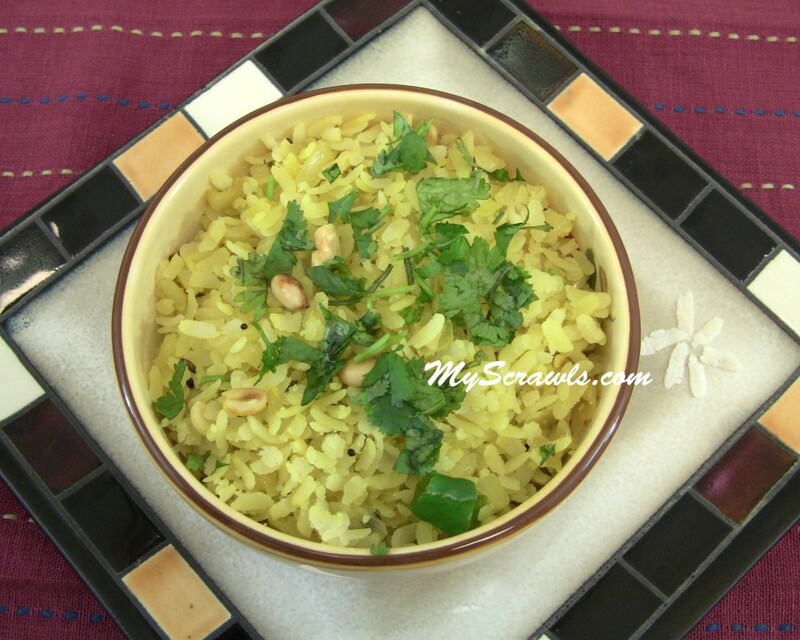 Note: Use thick poha/aval for this recipe. Thin flakes would make the recipe very soggy! Roasted peanuts add the crunchiness, but adding this is purely personal preference. Heat oil and do seasoning with mustard seeds, urad dal, curry leaves, turmeric powder, green chillies and asafetida. Meanwhile wash poha and drain the water completely. Once onions are done, add salt and peanuts and fry for a minute. 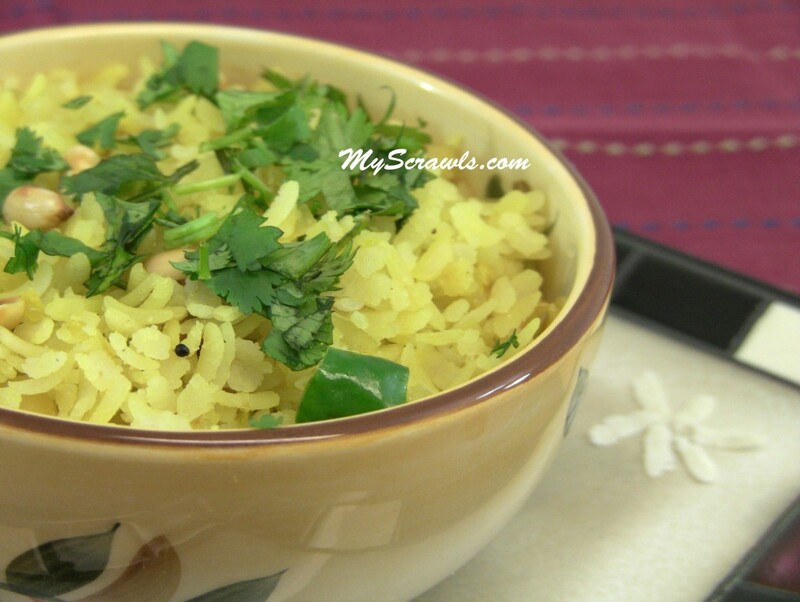 Finally toss poha and mix thoroughly. Keep stirring and fry for 2-3 minutes. Remove from the stove and garnish with cilantro. Never tried this way. will try thnx. Nice;with pickles! 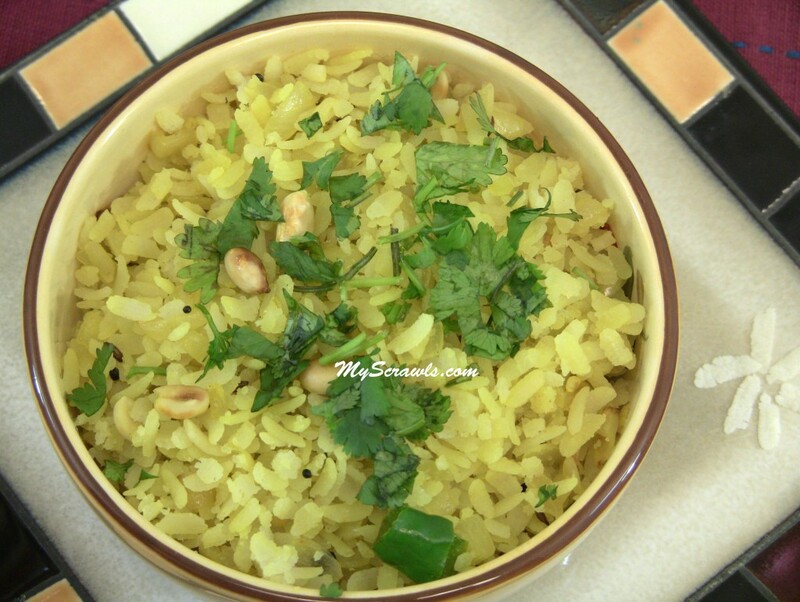 pounded/flattened/beaten rice of the Mysore variety is ideal;but is brownish red;munchy and munchable! A healthy Indian Snacks. Looks yum and delicious.